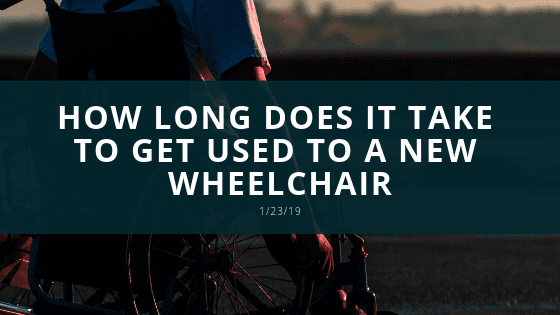 How long it takes you to get used to a wheelchair depends on the type of wheelchair you are using and what your prior experience with wheelchairs may be. You may have chosen a basic wheelchair or a power wheelchair. But, being a first-time wheelchair user, you may find it difficult for a couple of weeks to get used to a wheelchair. Don’t worry, it is not very tricky. In this post, we will tell you some handy ways to get used to a new wheelchair. So, keep reading on. Seems useless? But, reading an instruction manual can help you a lot before getting into a wheelchair. While reading the manual, check for all the features and functions of the chair, so that you may know everything about it from folding it to maintenance. Get into your chair for a while and check whether it is comfortable enough or not. Although the chair may have a backrest or a cushion on the seat, you can add or remove cushions and try different combinations to make sure what is more comfortable for you. This will also ensure you have a well-fitted chair which will benefit you in the long run. While sitting in a wheelchair, you should follow the below-given guidelines. Make sure the brakes are on so that wheelchair stays still while you sit. Fold footplates to the side so you can make into the chair easily. Sit carefully by placing your hands on the armrests and then fold back the footplates. Once you are seated, you are ready to move. If you have a manual wheelchair, hold the handrails tightly and push them forward to move forward, and back to move backward. Moreover, hold the left wheel static and move the right wheel forward to turn left and do the exact opposite to move the right. Make sure you practice all this at home before going outside. To get out, get close to your desired location such as a chair, make sure the brakes on and fold the footplates out. Now, place your left and right hands on the respective armrests to push yourself up. Here, you may need assistance to get out of it and move to the resting place. While moving around on your chair outside your home, make sure to avoid glass or the tires might get punctured. 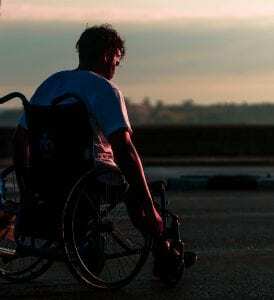 How to get used to your new wheelchair quickly? It depends on you and the type of chair, either you are getting into it for the first time or you have replaced your old wheelchair with the new one. It also depends on the type of your illness and injury. To get used to the wheelchair quickly, you should try the following tricks. Use of cushion will make it easier for you to adjust on the wheelchair. Use gloves while moving your wheelchair or your fingers may get blisters. Mostly, you’ll have to use your upper body and arms to control your chair. Thus, doing a small exercise daily will help you a lot in moving and controlling your wheelchair and help prevent injury. These are simple ways to get used to a wheelchair. But remember, all you need to embrace the wheels is your strong willpower.